For the 8 liveARCH members, shields were made. This is to show they are all connected to the same project and goal, a network of museums with a focus on living history, aiming to disseminate historic knowledge and to promote a greater interest in our common European Cultural heritage among the general public. 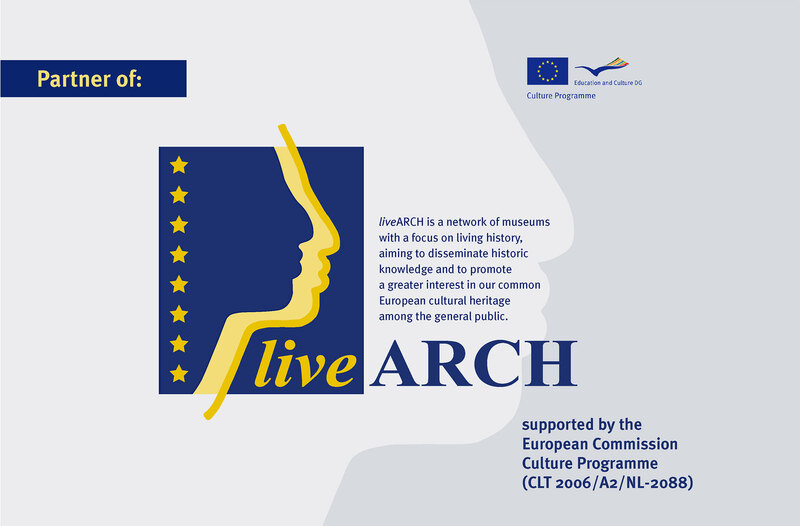 Several extra copies were made as the original idea was to expand the liveARCH network to become the core of EXARC. The shields are in full colour and carry the official logo of liveARCH, which was designed after an intensive session in Eindhoven, January 2006. The eight stars stand for the eight members.